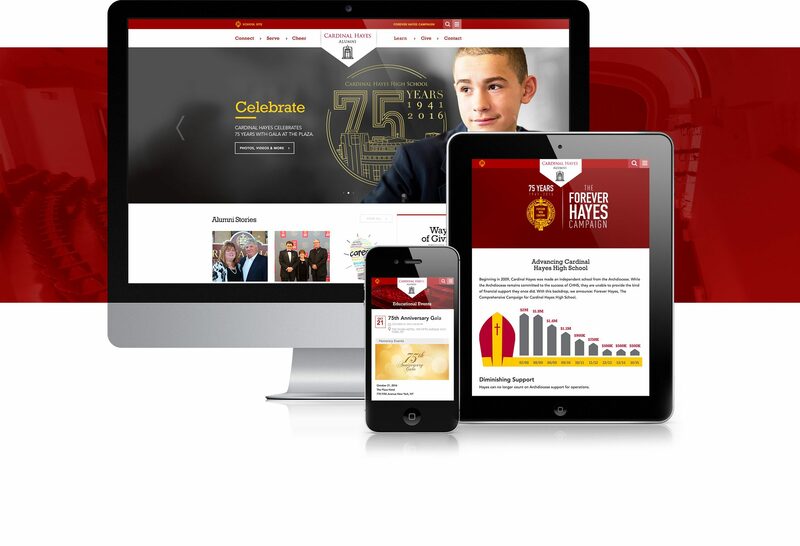 WE CREATED AN INTEGRATED FOREVER HAYES CAMPAIGN TO FULLY ENGAGE AND INSPIRE ALUMNI TO GIVE. 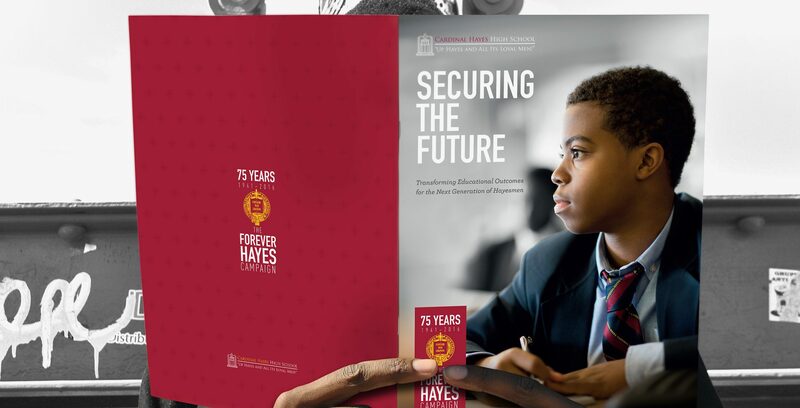 For 75 years, Cardinal Hayes has provided a private, college-preparatory education and opportunity to the primarily minority students of the South Bronx. 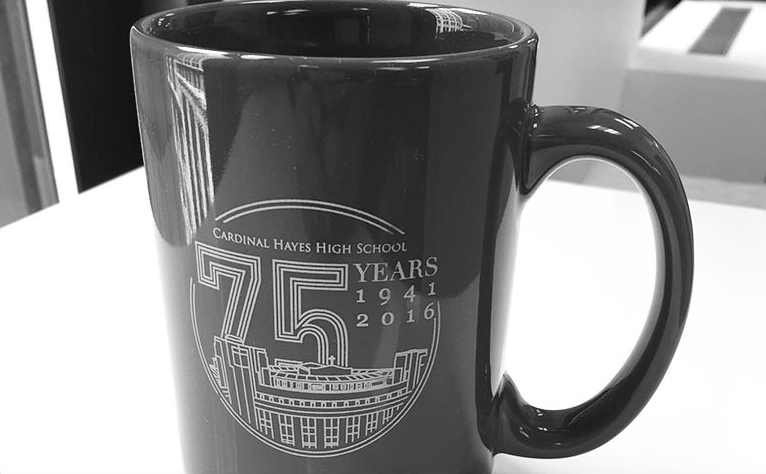 At Hayes, 98% of students continue on to college. 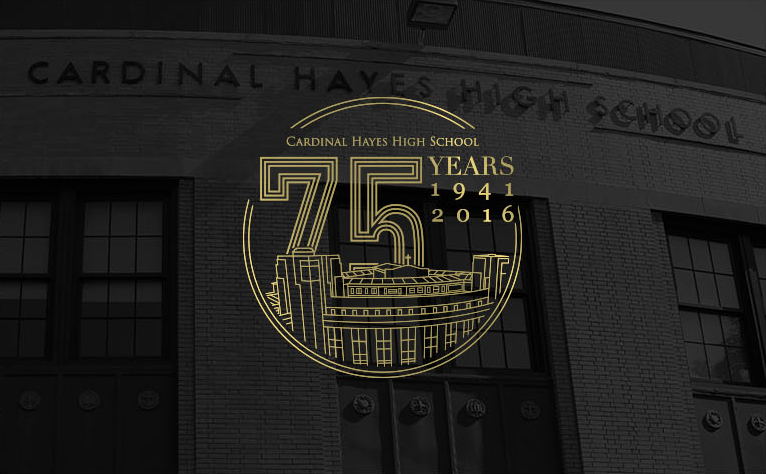 The Challenge: Cardinal Hayes faced diminished financial support and needed to reinvigorate giving to its endowment to ensure its future. 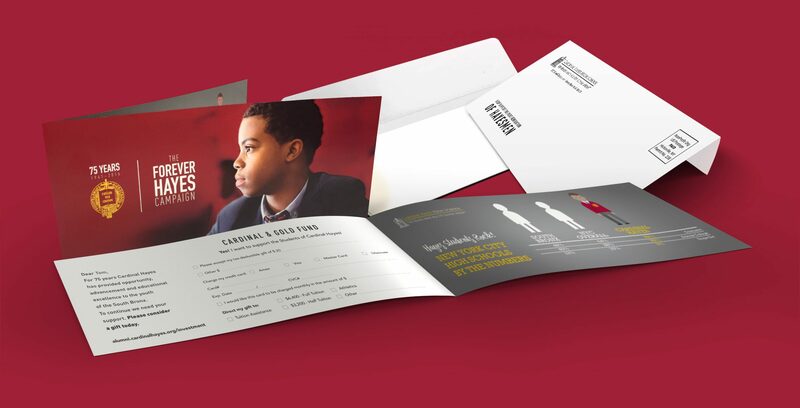 The goal: 20 million dollars. 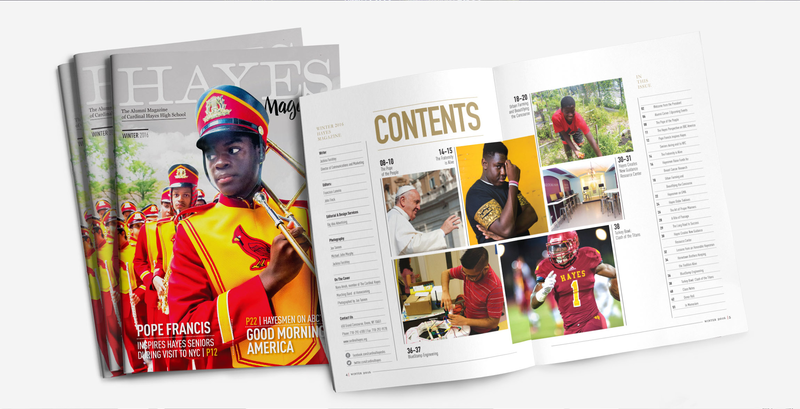 The Solution: We developed an integrated, multi-touch campaign to alumni featuring positive and humanizing success-stories, student stories, infographics, video and content-rich publications. 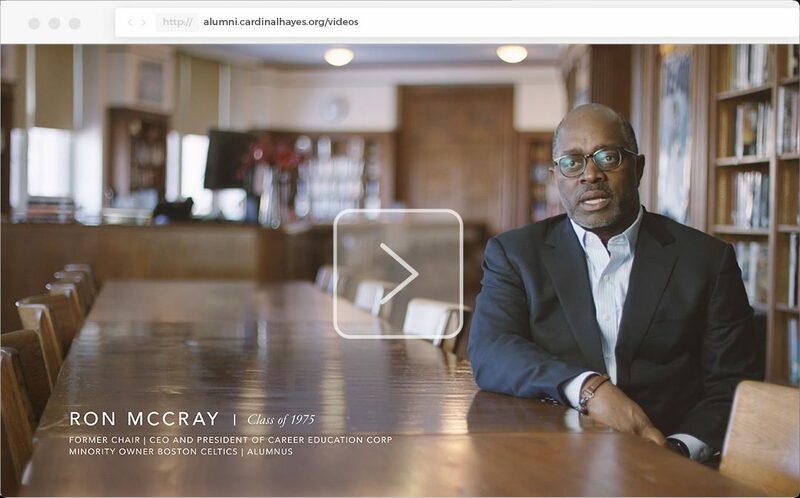 A campaign of highly developed documentary style videos helped to motivate and inspire alumni to give. 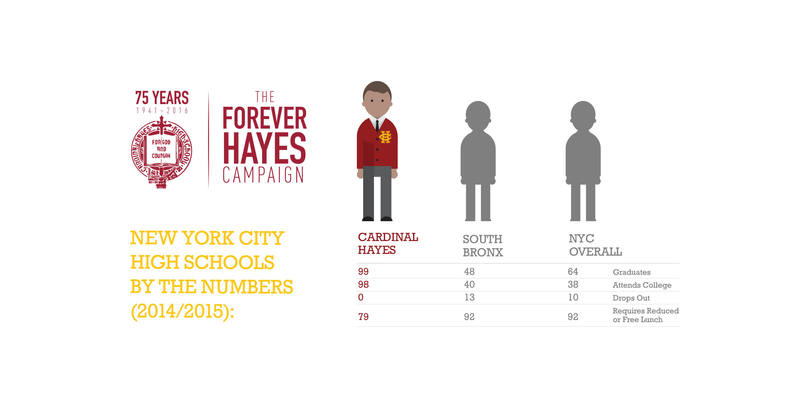 Cardinal Hayes High School transforms the lives of students in the South Bronx. 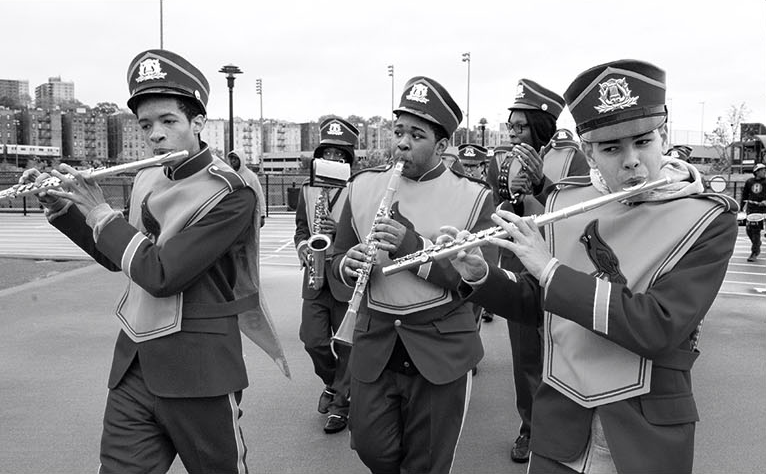 There was no better way to illustrate that than through the moving stories of students, alumni parents and faculty. 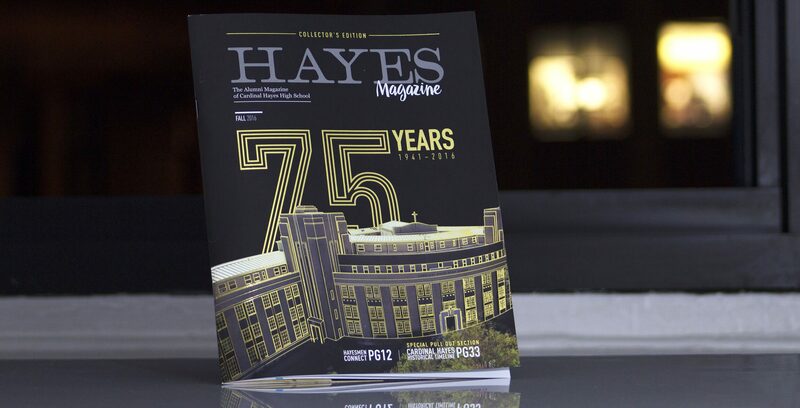 Watch Hayesmen explain why their fellow students, faculty and Hayes means so much to them and their dreams for the future.